Fig. 1. 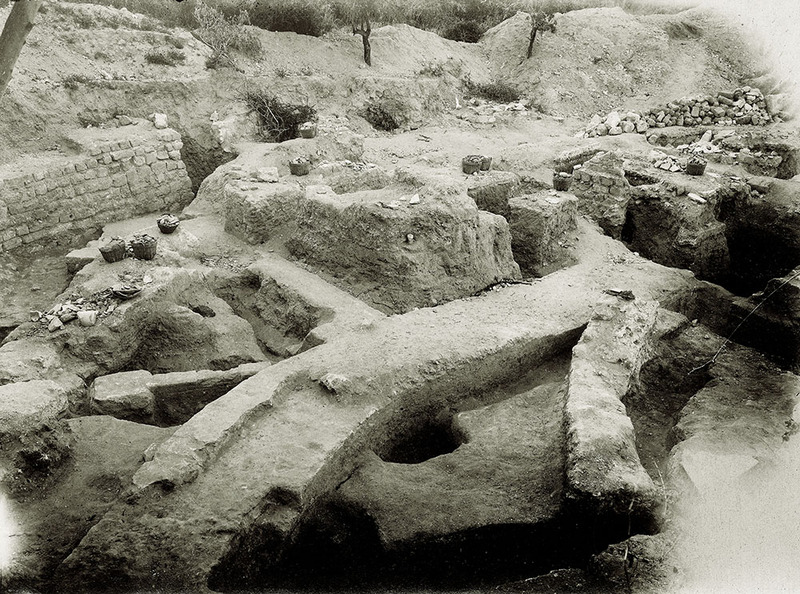 View of Wall T3 (W140) of the Hellenistic complex at Ashkelon, from the Palestine Exploration Fund excavations (PEF G344, “S. 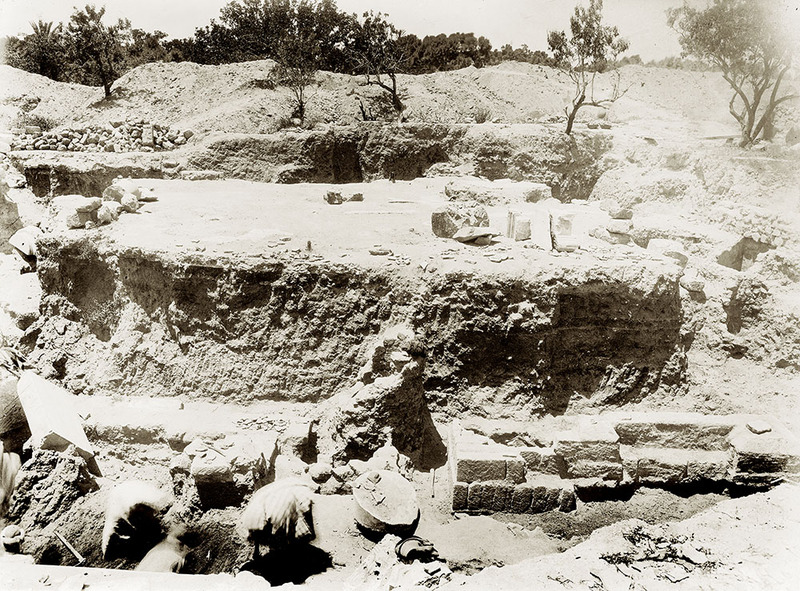 end General view from E. showing triple pavement and Hellenistic wall,” 1921; courtesy Palestine Exploration Fund, London). Fig. 2. 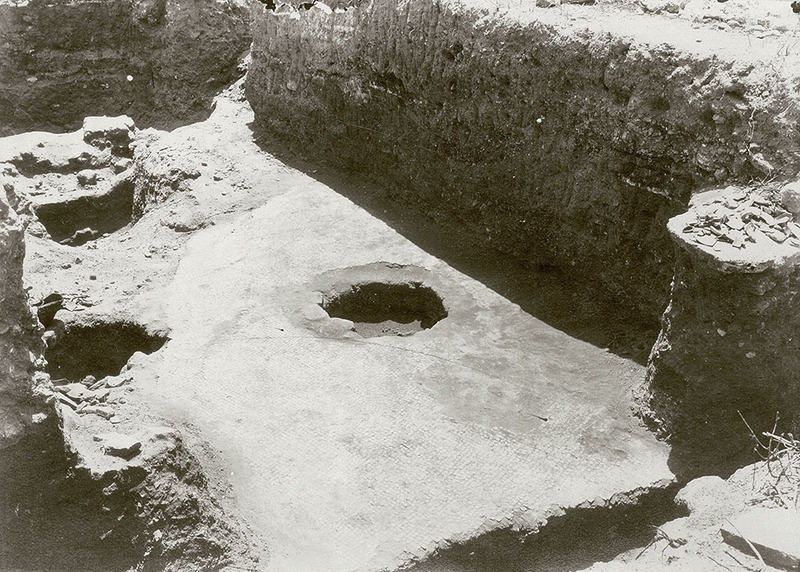 Possible tessera floor of the basilica hall at Ashkelon (PEF 359, “Same as 135 [Interior middle of great court showing excavation from W], showing original tessellated pavement,” 1921; courtesy Palestine Exploration Fund, London). Fig. 3. Orchestra wall and seating in the Severan bouleuterion/odeum at Ashkelon (PEF G338, “‘Theatre’ seats beyond, S.E. of ‘Peace’ 1920”; courtesy Palestine Exploration Fund, London). Fig. 4. 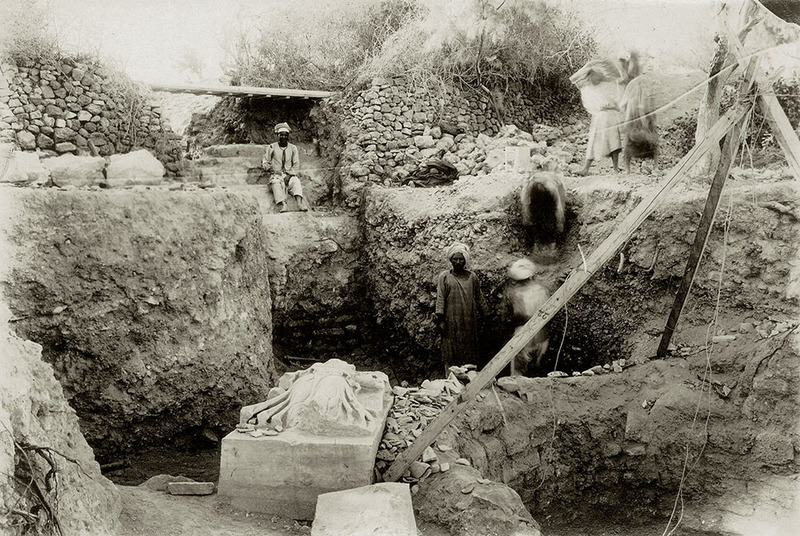 Western aditus maximus of the bouleuterion/odeum (PEF G341, “Foundations of basilica 1921”; courtesy Palestine Exploration Fund, London). Fig. 5. 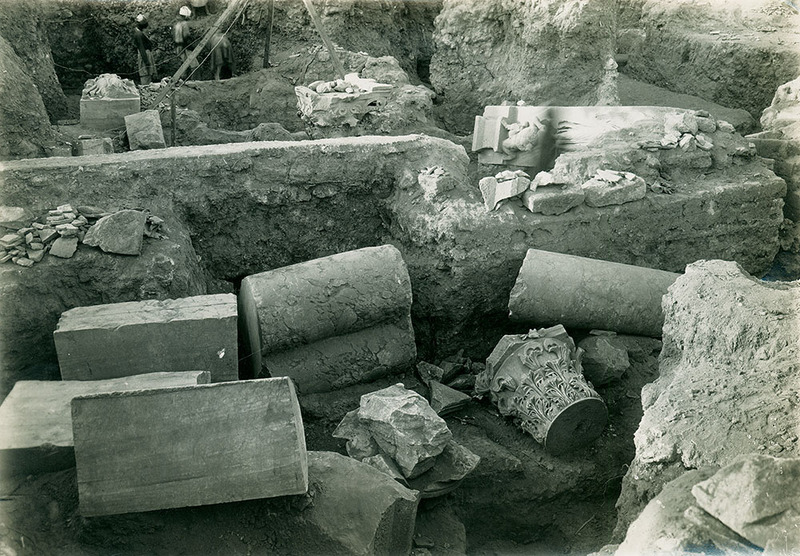 Vaulting of the western aditus maximus of the bouleuterion/odeum, view to the west (PEF G325, “Masonry, west, before removal. 1920”; courtesy Palestine Exploration Fund, London). Fig. 6. 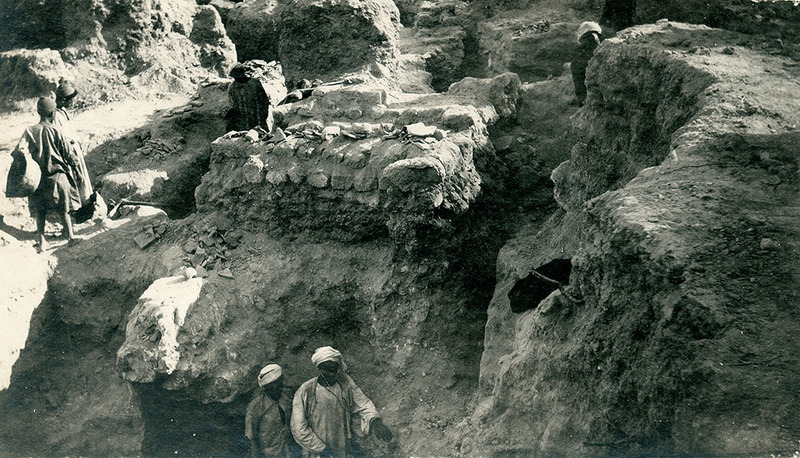 Architectural members north of bouleuterion/odeum scaena wall (PEF G319, “Same as 93 [Architectural remains] showing foundation wall,” 1920; courtesy Palestine Exploration Fund, London).